Here you will find the top 3 activities that your child can take to improve their cycling skills. 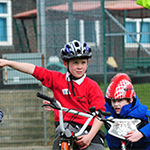 Are you looking for games and activities to help your children learn to cycle? 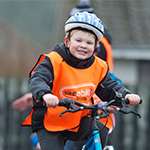 Below are some activities, taken from level 1 Bikeability Scotland, which you could use in an off-road location (such as a park or garden) to help your children learn basic bike handling skills.